This year marks the 49th anniversary of Neil Armstrong’s first small step on the surface of the moon, leaving the first human footprints on some place other than our home planet. But that big glowing rock in the sky is just as perplexing as ever for our canine friends. Do dogs really howl more at a full moon? Do they think it’s a ball that they’ll never be able to fetch? 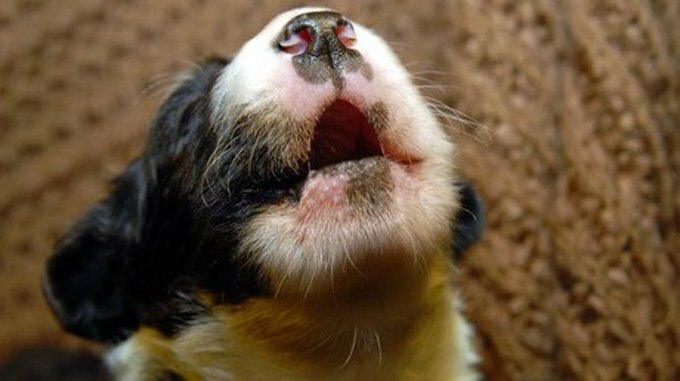 Here are a few of the reasons your pooch gets loud like a lunar lunatic. Wolves are the ancestors of our indoor pups, and they’re known for howling at the moon. But did you know the moon has nothing to do with wolves’ howling? Wolves are nocturnal, and they need to communicate, so they howl at night. They also throw their heads back, which makes it seem like their looking up, and “up” is the general direction of the moon. Wolves do this regardless of the position or fullness of the moon, and your pup may still have some of those instincts buried deep down that make him want to shout to all the neighbor dogs after your bedtime. Your dog isn’t a nocturnal wolf, so why is he trying to wake up the whole neighborhood at night? Well dogs can actually hear each other better after the sun goes down. There is less atmospheric disturbance at night, so sound travels much farther. There are also fewer cars and machines operating as all the humans go to bed, so there’s less interference. It’s basically the time of day when your pup and his pals get the best reception for their calls. The fact that the moon is out has little to do with that, but it’s this time of day that the moon and the howling are most noticeable to you when you’re just trying to sleep. When the moon is full, there’s more light. And when there’s more light, there’s more to see. So all the little critters running around your backyard have a lot more trouble being stealthy in front of the watchful eyes of your guard dog. Drawing the curtains and keeping your pup away from the window might help keep him from spotting every little squirrel or raccoon out for an evening meal. Lots of people take advantage of the moonlight and go for late night walks, and some of these people wouldn’t be out on darker nights. The more people there are strolling or walking their dogs past your house, the more your pup wants to do the same. And since he can see all the people and pooches walking past fairly clearly, he’s more likely to be extra vocal about it. Dogs have phobias, just like people. There are many dogs who fear things like balloons, streetlamps, and basically anything big and round floating above their heads, which includes the moon. If you think your dog is afraid of the moon, try keeping it out of your line of sight on walks and see if your pup is more calm. If the fear persists, it may be time to consult a vet or a trainer. Overall, be careful. Emergency vet visits go up almost 30 percent around the full moon, so don’t let a nervous pup get off leash and bolt, or he could get hurt. If you’re out and about in the moonlight, make sure you and your buddy are very visible and stay alert. You don’t need to be an astronaut to enjoy the moon responsibly. 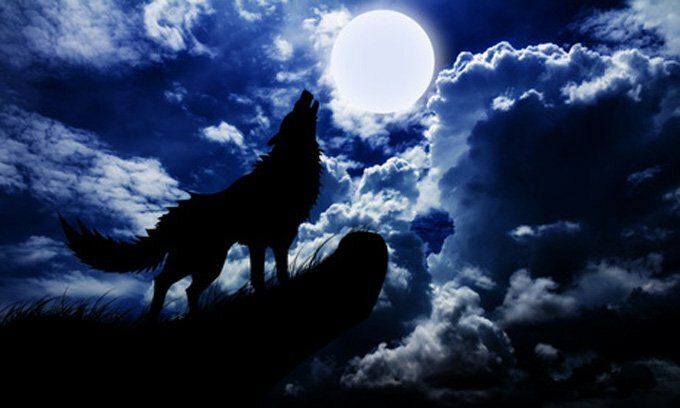 Does your dog howl at the moon? Are they more active and alert when the moon is full? Let us know in the comments below!